Growing up, I helped my mom make several different kinds of homemade candy and two favorites have always stood out for me. One is nut goodie fudge, which I definitely need to blog. 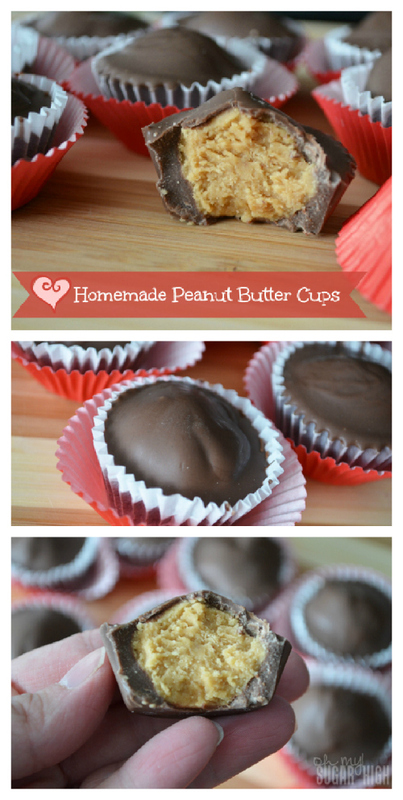 The other is this very simple but oh so delicious recipe for peanut butter cups. This recipe is great for any time of year but works fabulous for the Christmas and Valentine’s Day. And with only four ingredients, it is simplistic but absolutely fabulous! The center is wonderfully rich and creamy without a powdered texture or greasy feeling you get with store bought candy. Mix first three ingredients. Make 1 teaspoon rounded balls with peanut butter mixture. Melt almond bark in microwave, stirring in one minute intervals until completely melted. 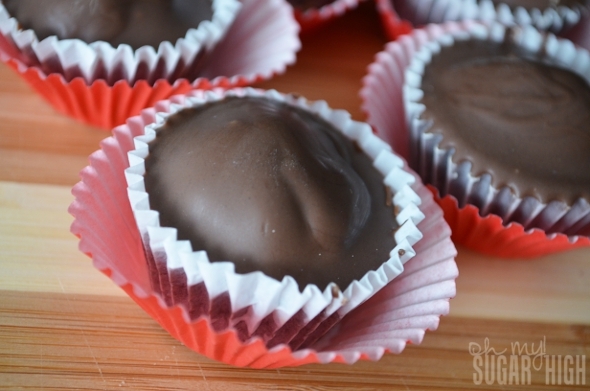 Using a teaspoon, put a drop of chocolate in bottom of small candy wrapper, pushing it up the sides of the wrapper slightly Add 1 teaspoon rounded ball. Top with more spooned chocolate and push the chocolate gently to the sides. Ready to serve once chocolate has hardened. Be sure to sift the powdered sugar so you get a nice and creamy center. Feel free to experiment with different toppings before the almond bark hardens for more color. 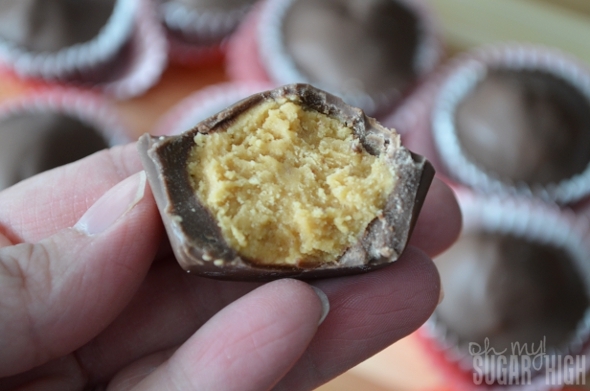 For peanut butter cups we tend to be purists and don’t add anything additional. I prefer to add color with fun mini baking cups! If you love pinterest as much as I do, here is a pinnable collage! 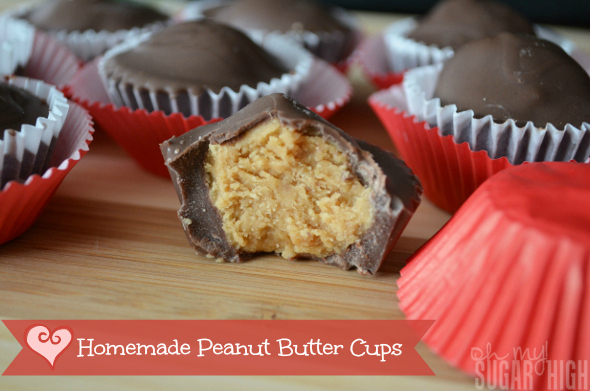 Peanut butter + chocolate = HEAVEN! Yum! These would make the perfect Valentine’s Day gift. Thanks for sharing! Anyone who knows me knows what a peanut butter fan I am. These look wonderful!! I found your recipe over at the Inspire Me Tuesday link party. I host Tickle My Tastebuds Tuesday and would love it if you would come over and share this recipe. I’m sure our party goers would love it! Oh my gosh! I want one of these right. now. Mmm I want to make some now! To bad I’m not eating sugar right now 🙁 Will have to save this recipe for later!